Our latest guest post comes from Eleanor FitzGerald, who offers her review of the special Waterlight Project event in Melbourn earlier this month. Her review includes a video of the specially composed Waterlight tune, composed and performed for the event. Eleanor is secretary of Gallery Writers, a group founded by three local writers and which aims to provide an outlet for writers of all abilities and interest in the surrounding area and to provide a forum in which to share their work. You missed a treat at Melbourn Hub on Friday evening, if you weren’t there for the Waterlight Poetry and Music celebration. The Hub was a perfect location for this event, whose theme was the chalky River Mel and its history, expressed in authentic voice by poets and musicians, including Penni McClaren Walker and Bryan Causton. They sang and played beautifully to the folk tunes, some self-composed — such as Waterlight — and some from composer, Ralph Vaughan-Williams, who lived in Meldreth, interspersed with poets and novelists, Kate Swindlehurst and J.S.Watts who read immaculately. In complement, the musicians and poets gave us a highly professional, atmospheric and enjoyable evening. ‘Waterlight tune’, composed & performed by Penni McClaren Walker & Bryan Causton. Filmed by Nigel Kinnings & Christine Lloyd-Fitt. They reminded us of the significance of the river and its past to the poorer, rural communities of Meldreth and Melbourn, not in a nostalgic way but of the origins of these communities and its relationship to the land and nature. It also signified the importance of the chalk streams to the work and leisure of the people who worked on it, either in boats or in the fields. There were humour, character and pathos from the songs and poems, whilst the mandolin and bazouki of Bryan Causton sounded like the River Mel itself, trickling, rippling or gushing by. So thank you to all of you, including the Melbourn Hub Management and to Clare Crossman who originated it and Bruce Huett and to any others I may have omitted. Our second guest post comes from poet and novelist J.S. Watts, who looks at the many contributions of chalk streams to English literature. J.S. has also written two poems for the Waterlight Project — Life Line and Time Flows Through — which you can enjoy along with other contributions to the literature at the Waterlight Poems section of our site. 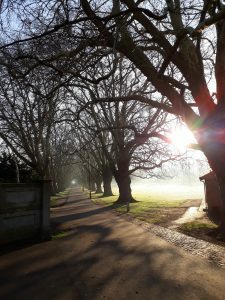 At the beginning of this year I was very happy to be asked by Clare Crossman to write a guest post for the Waterlight Project blog. 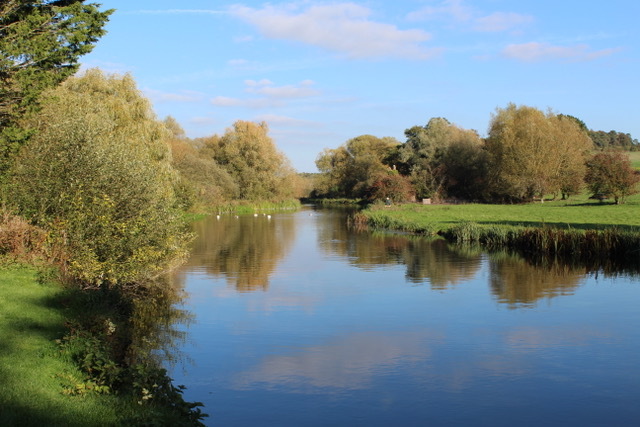 I’d already written two poems for the project, plus the Cambridgeshire village where I live is close to Melbourn and Meldreth and has its own spring and chalk stream, or it may be a part of the same water flow as the River Mel. That’s the nature of chalk streams and rivers, they split, merge, separate and conjoin and it’s not always clear to the uninitiated what is a tributary to what. Anyway, I was delighted to say yes and then Clare said, “I was thinking a piece about literature associated with chalk streams might be nice.” Okay, that suits me. I’m a poet and novelist with a degree in English Language and Literature, so what better than to write about literature? I picked up my pen enthusiastically (I tend to draft most things longhand. It’s something about the flow of the words) and then reality hit. To write about the literature of chalk streams and rivers, I really need to know where those rivers are, the names of them and then research the writers associated with them. In other words, I need to know the geography and possibly the history of chalk streams. It turns out an English degree is not so well suited to sussing out the ways of the chalk. I resorted to the age-old traditional writer’s technique of searching the Internet. According to the Waterlight Project website there are only 210 chalk streams in the world “and 160 of these are in England”. Another website asserts there are only 200 globally and 180 are in England. The World Wild Fund for Nature states, “there are only about 200 chalk streams in the world, and most of them are in the southern half of England (with a few in France).” I guess it’s how you add up those confusingly merging rivers, streams and tributaries, but regardless, it’s clear that chalk streams are a very rare and English phenomenon. The next question is where in England are they? My online research indicated they were mostly in Southern England, but basically followed the line of the chalk from Yorkshire to Dorset, flowing through the East Riding (Guess what? The River Hull in Humberside is a chalk river. Who knew? Well lots of chalk stream experts, obviously, but I didn’t until now), Lincolnshire, Norfolk, Suffolk, Cambridgeshire, Buckinghamshire, Berkshire, Wiltshire, Hampshire and into Dorset (not forgetting a trickle from Kent across the southern chalk and into Hampshire). Based on that, the southern chalk streams flow across the countryside and counties once known to Jane Austen, Richard Adams and Thomas Hardy. So far so good and quite impressive in literary terms. The names of the chalk streams and rivers that flow throughout England as a whole resonate to the landscapes and histories of their respective areas. In addition to the sometimes brown and murky Hull there are the clear and glittering Lymn, Cam, Granta, the Test, the Itchen and the Avon. There are also the Loddon, Ver, Piddle, Kennet, Frome and many, many more. The list goes on. I then made the mistake of Googling (other search engines are available) the literature of chalk streams. What came up, over and over and over again, was fly fishing. Apparently it’s a thing in relation to chalk streams and lots of people have written at considerable length about it, including Charles Kingsley who (rather appropriately) also wrote The Water Babies (where an abused child chimney sweep falls into a river and is transformed into a water baby) and Westward Ho! Charles Kingsley was rector of the Parish of Eversley, Hampshire for thirty-five years and knew the chalk streams and rivers of the area well, especially the River Blackwater (a tributary of the River Test). 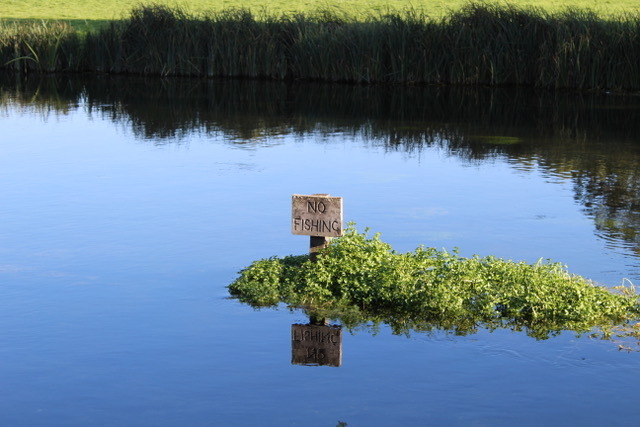 From what I can tell (I don’t fish myself), the good fly fishing streams seem to be located significantly around Berkshire, Hampshire and Wiltshire, but there is at least one chalk-based anglers’ paradise in Lincolnshire. There are, after all, between 160 and 180 of these special, light-catching watercourses and though serious fishing does not appear possible in all of them, the healthy streams do seem to boast a fecundity of fish. Indeed, another book constantly referenced in terms of chalk streams and fly fishing is The Wind in the Willows by Kenneth Grahame. 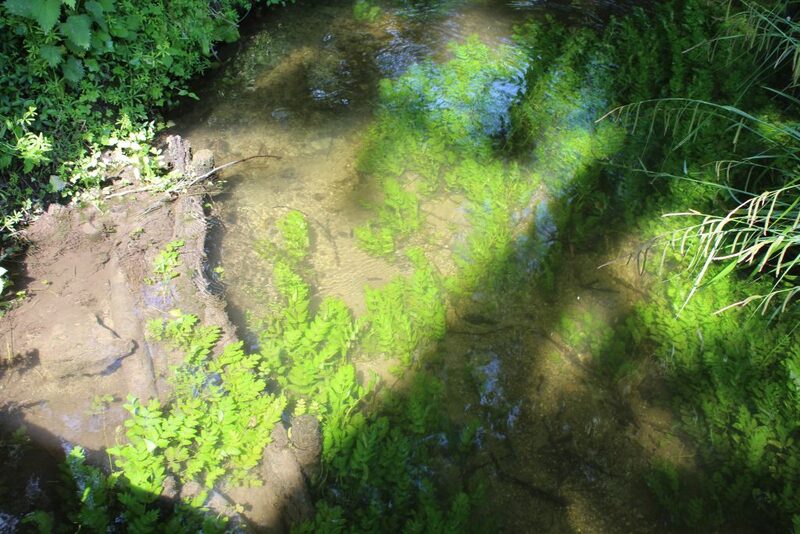 Grahame lived in Berkshire and the clear, sparkling water of his river bank tales, teaming with fish, lush flora, rats, voles, moles, toads and other small mammals is seen by many as stereotypical of the chalk stream environment in which plants, fish and animals thrive. 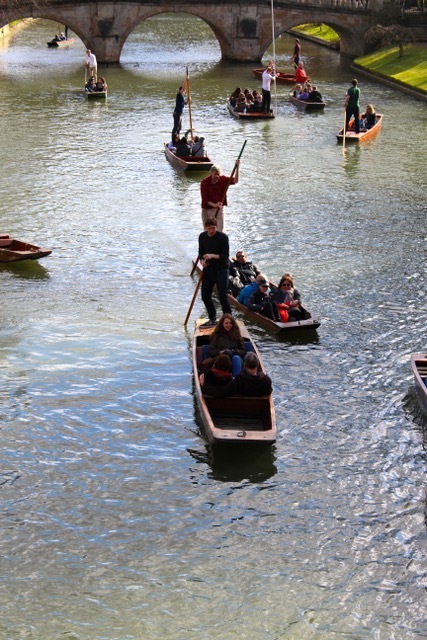 Grahame’s animal characters also like to fish and spend much of their time paddling around in boats. Moving away from fly fishing, I stumbled over the rabbits of Richard Adams’s Watership Down. They live their communal lives in a typical chalk landscape and, in one particular scene in the novel, escape down the River Test on a punt. 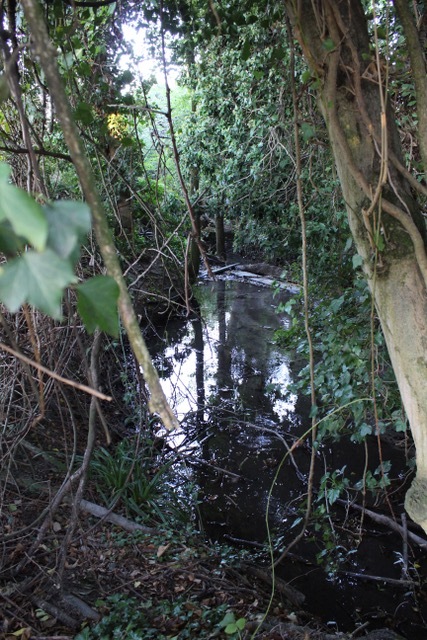 Clare Crossman, no mean poet herself, frequently writes about the chalk streams surrounding her South Cambridgeshire home and, as noted earlier, even I’ve managed to create two poems for the Waterlight Project based on the oral histories of local residents. Like those long mosses in the stream. In masses thick with milky cones. And I could go on. As I continued to look for literary links to England’s Chalk streams I kept finding more and more poetry that had been written about the chalk’s glittering waterways. These poems are not necessarily as renowned or accomplished as Keats’s iconic To Autumn, but are still lovingly soaked in the bright waters that criss-cross England’s chalklands. It must be something about the shining, clear waters of this nation’s chalk streams that inspires writers to put pen to paper and causes their words to flow. J.S. Watts is a poet and novelist. Her work appears in publications in Britain, Ireland, Canada, Australia, New Zealand and the States and has been broadcast on BBC and Independent Radio. She has edited assorted magazines and anthologies. To date, J.S. has published six books: poetry collections, Cats and Other Myths and Years Ago You Coloured Me, plus multi-award nominated poetry pamphlet Songs of Steelyard Sue and her most recent pamphlet, The Submerged Sea. Her novels are A Darker Moon – dark fiction and Witchlight – paranormal. Her next novel, Old Light, is due out in Summer 2019. For further details see www.jswatts.co.uk. To see more of J.S.’s photos please go to http://wouldbephotography.blogspot.com. 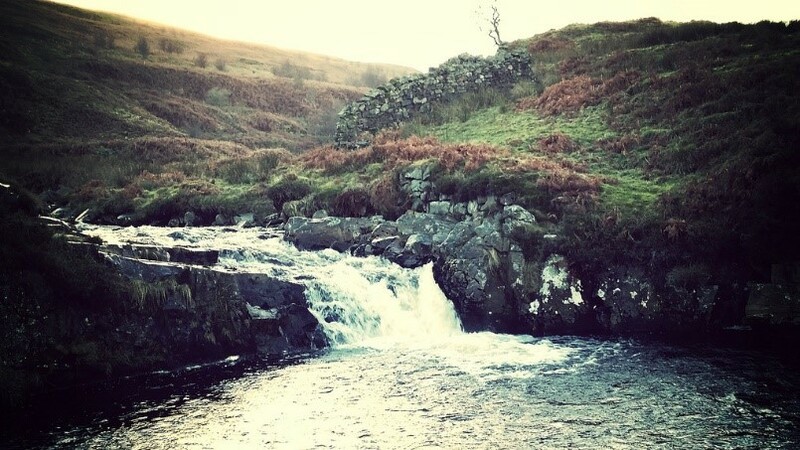 Clare Crossman reflects on her experiences of rivers and their flow, and the value of poetry in our relationships with water. I grew up in Gravesend in a flat, in a hotel, that looked right on to the Thames opposite Tilbury. Even with the gruesome definition of the word ‘graves end’ (where bodies were sent out to sea in Elizabethan England) I grew to love water. There were tugs, giant white star liners, and cruise ships; everything floated and passed my window. The river also removed painful things towards the sea. I was not allowed to be afraid of water and was taught to swim when I was three-and-a-half. I was allowed to stare into the running depths of the river from the top of the wall that ran along it, my hand held so I would not fall in. I am always returning to rivers, or they have never left me. The wild ones of the North of Cumbria where I was an adolescent, and the weir-dotted Lune in Lancashire with its sea breathing; and now in south Cambridgeshire, the chalk stream with its pools and springs which is the River Mel. This stream runs the length of the high street of my village. It is only short. It rises in a crystal lake with springs coming from a chalk culvert, it forms a passageway between two villages and across fields. Lived on and with, it turned mill wheels for bread, it grew watercress, and young men fished! Whatever the size of the river, the surface always catches the light. The continual flow seems to tell of how everything constantly changes and moves forwards, despite meanders and diversions. The sound of water is a small music that is healing, and is always pouring and washing the world away. Rivers constantly make libation and, unless blocked or polluted, are a quiet salvation. A river too is always working, powering waits and mills, enabling travel, providing food. A river is about paddling, boats, kingfishers, afternoons of delight. The River Mel holds a constant temperature. In winter it has its own mist, fog and fret. 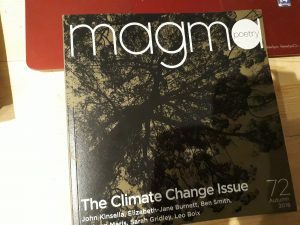 Later on he writes ‘but in the end, the poem is more given over to the extraordinary, than to the ordinary, more dedicated to the world renewing potential of imagined response than to the adequacy of a social one’. Poetry as a ‘draught of clear water’ filling the reader with ‘a momentary sense of freedom and wholeness’. This metaphor is such a beautiful one: reading a poem like drinking a glass of clear spring water. And water and poetry providing transformed understanding, freedom and wholeness. 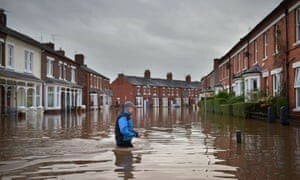 There are deep arguments from poetry then not to let the river become polluted, clogged up, unavailable to consciousness to the whole bodily system of a human being in the Anthropocene. Poetry explains why never being far from water, as this landscape is, asks to be celebrated and explored. We come from water; primeval fish grew feet and found land out of a watery soup. Our bodies are 80 percent water; without it, we could not live, we release it in our breathing and skin, then collect it as rain. H2O is a most mercurial element. Tough and vital in its texture. 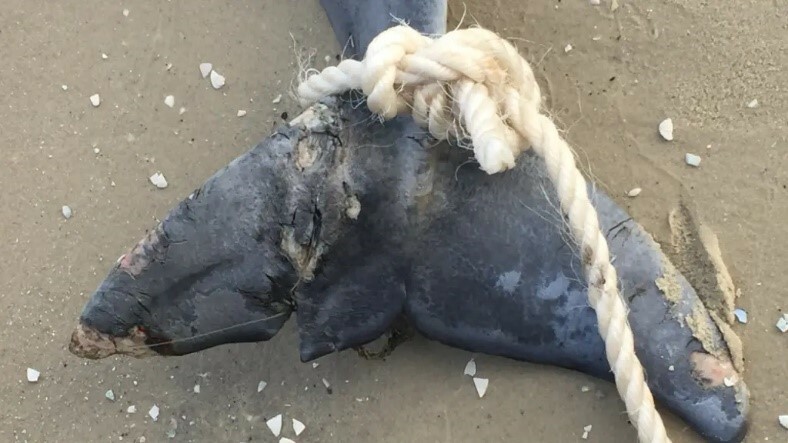 Along its length here, we are connected by it and can work together. James Murray-White introduces his role in the Waterlight project, filming the local environment and activities. He reflects on his connection to this river and to water as he begins his work filming the river Mel and those who hold it close. I was immediately attracted to this project when Clare mentioned her ideas, because it focuses on exploring this little 13 mile stretch of river, meandering through two beautiful villages. And it touches deeply into our human connection with rivers — a deep dive into a watery anthropological journey. “I am native here, rooted here. Clare’s words dive deep into the history and human connection to the Mel, from a tragic drowning, through to a very close examination of the “dragonflies, cool places”. It’s been a wonderful honour to walk much of the Mel with her and get to know some of it, pause where she was inspired to write, and to point my camera and capture some moments in time. My interest has been to take time and capture the ripples and eddies in the water, the wind through the leaves, bushes, and rushes, and to hear and listen to what the wending waterway tells. 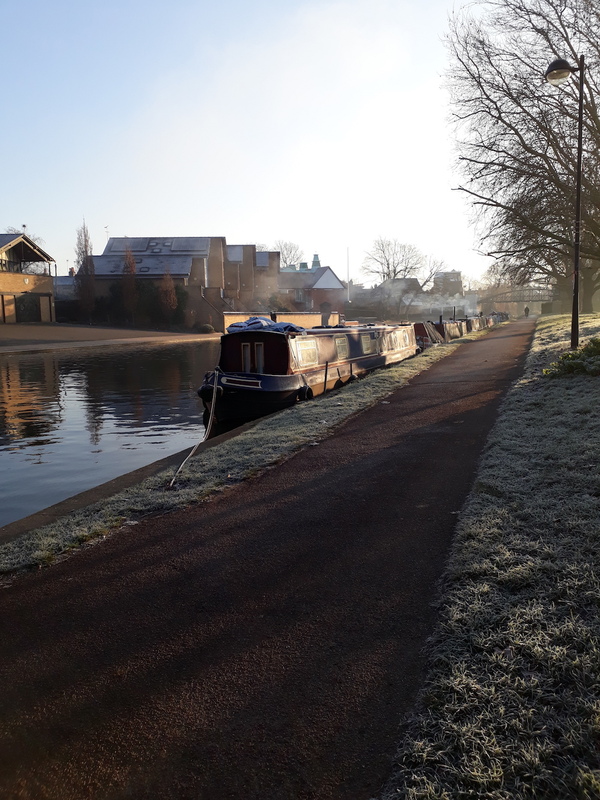 I thought I saw the back of a vole scurrying off behind me one cold January morning, after I had been filming at the [AREA around back of playing fields – Stockbridge Meadows?] in the early blue hour of a snowy day, though it might have been the cold causing me to hallucinate! I met several dog walkers that morning, and we discussed wildlife, though it has been noticeable that I’ve not seen much while walking, sitting, and filming. This makes me want to return often, without cameras and kit, and just sit. Here’s my appeal to be simple riverside wildlife watchers — much in the way fisherfolk are, sitting meditatively, rod poised above the water; for us all to bring a little stillness inside, and sit, for just a few moments or longer by water and in fields, listening and watching, connecting to the call of the wild, within and without. It’s also been a real treat to meet with Bruce, either walking by the river, hearing about the work of the River Conservation Group and his sightings of various birds and fowl over the years, previously high in numbers and now down. And to be with him hearing stories from the elders in the villages of their engagement with the river over the years, and see him enthusing youth at the school. And then, in his inimitable style, as he weaves it all up from this tiny stream out to his journeys across the far Himalayas, the waters of the Ganges and in and out of Tibet, with the water spirits showing their power too! So it’s been a deep dive, through and along this waterway, meeting at the confluence and seeing the ripples go off and reverberate in different ways. Filming the river has been a slow, ponderous process, working with the light and weather conditions: it’s involved standing in fields trying to get a shot of the river through swaying cow parsley, watching happy dogs wading in the water through these very changeable seasons this year, getting to know a swan, and dealing with the variables of recording interviews and ambient sound out in the open air. We’ve got Clare’s wonderful rich word ways and Bruce’s active meanderings, and I’m throwing now my footage from various days, times of day, and situations, into the pot, and this website. Soon a film or some short films will emerge, dripping from the Mel! Clare Crossman shares her research into the time that composer Ralph Vaughan Williams spent in Meldreth. His work collecting the music and words of local folk singers has preserved an oral tradition that he saw was at risk. Ralph Vaughan Williams (1872-1958) was an undergraduate at Trinity College, Cambridge from 1892 to ’94. In 1906 he and his wife Adeline came to Meldreth for a summer holiday and they returned for visits in 1907 and 1908. In 1906 they leased a large house called The Warren at the North end of the village where it stood on its own, surrounded by fields. He cycled a great deal and as Meldreth had its own station it was easy to make day trips through the surrounding areas, near the river Mel. He collected songs in Orwell, Bassingbourn, Fowlmere, Little Shelford and Royston. He rode out to pubs where the singers traditionally performed: in Meldreth it was Ginger Clayton; in Fowlmere it was Hoppy Flack; in Bassingbourn, Mr Harmonin; Orwell Billy Waggs. He may have been told about the source singers by Lucy Broadwood, Secretary of the Folk Song Society but many songs could have been collected by chance encounters. Most of the singers were farm workers or in the labouring trades. From Hoppy Flack in Fowlmere, he collected May Song and Lord Ellenwater. Nothing much is known about Ginger Clayton in Meldreth, as he does not seem to have been resident there; but John Valentine Harman (Harmon) was an agricultural labourer who lived at the Tan Yard in Bassingbourn with his wife and seven children. The Lakes of Cold Fen was collected from him. Most of these people would have been illiterate so they sang their literature, as in the oral tradition, and Vaughan Williams collected the tunes first and words later as he believed these folk melodies were dying out. Much of his annotation is held in the Rare Books and Manuscripts Room of the British Library. Many of the songs were known to him in other variants and the words were available as published broadsides but they were sung in this area and known by those who sang them and heard by those who listened. The Trees They Do Grow High (Ginger Clayton, Meldreth text completed from Broadside). The words and stories had a long tradition, but the tunes were important to Vaughan Williams. My bonny lad is young but he is growing. A lady you will be while he’s growing. And then perhaps in time my love the boy will do for you. To let the ladies know that he is married. Cruel death had put an end to his growing. But I’ll watch o’er his child while he’s growing. So fare you well my true love forever. The tune she sings is in a major key whereas the tune collected by Vaughan Williams is in a minor key and far more wistful and melancholic. You can hear it sung with this tune by Bert Jansch when he was singer with Pentangle. To hear the rest of the songs you may need to come to the concert which is on March 8th 2019 with Penni Mclaren Walker and Bryan Causton at the Hub in Melbourn … More details anon. In the writing of this piece, I am greatly indebted to Cambridgeshire folk singer Mary Humphreys whose careful research in manuscripts at the British Library and the Vaughan Williams Memorial Library has made the task of finding these songs very easy. Her book Folksongs collected in Cambridgeshire is published by Hedingham Fair and is available directly from her site. Clare Crossman introduces the river Mel and the new project she has launched to explore its nature and communities. The river Mel is a classic English chalk stream that I have walked in all weathers for the last 18 years and in winter it can indeed be sullen, especially when just below the A10 when it becomes full of crisp packets, plastic bottles and other things which just happen to be dumped from cars. It is only the painstaking work of the River Mel Restoration volunteers who have slowly removed this from the river there. The river links my village, Meldreth, with the next village, Melbourn, and is a well-worn route crossing fields and through woodlands used by dog walkers, runners, and children on their way to Melbourn village college. As TS Eliot says in the poem Dry Salvages, ‘The river is within us, the sea is all about us’ and for me, the river Mel close to my home has always been a consolation, a healing force, and a surprise in that it is different every day. Consequently, it inspired a short sequence of poems, published in my last collection The Blue Hour (Shoestring Press 2017). 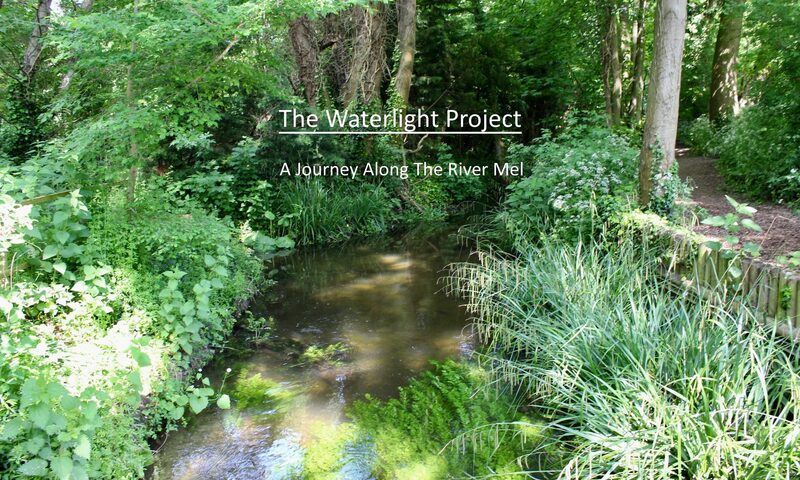 They have in turn inspired Waterlight, this film and community project about the river, which includes interviews with people who have lived close to it all their lives, children’s poetry, music and new poems from local writers. The film is being made by my friend, filmmaker James Murray White. Even though short and hidden, the river Mel has its own beauty and as Eric Schumacher wrote many years ago, Small is Beautiful. There are vistas, meanders, pools and changes. Different depths of water, reeds, grebes, coots, the heron that lives there and the white egret which has taken up residence as well as the dart of some kingfishers. According to Tristran Gooley’s anthropological book How to Read Water, it is a healthy river and its flow shows no sluggishness even at low water. It passes under small stone bridges and through weirs, creates ponds at mills and was clearly once lived around, in and on and was at the centre of village life. Just about wide enough to float a canoe, it can be swung across … and it joins the River Rhee (a tributary of the Cam) just outside Meldreth. Recently James and I were granted access to the garden at Melbourn Bury where the Mel rises. It was a beautiful day and the water clear as a bell. It was explained to us how the lake in the garden contains several springs which when the water is low can be seen coming out of the ground. If there is very low water a small culvert which looks like a well gushes, turns into a waterfall as water is pumped from the aquifer in the heath just before Royston. The lake is so large that the former owners had built small bridges to be able to cross it at the edge as it literally just pools out where the water rises and is full of reeds and yellow flag iris clear and shallow. 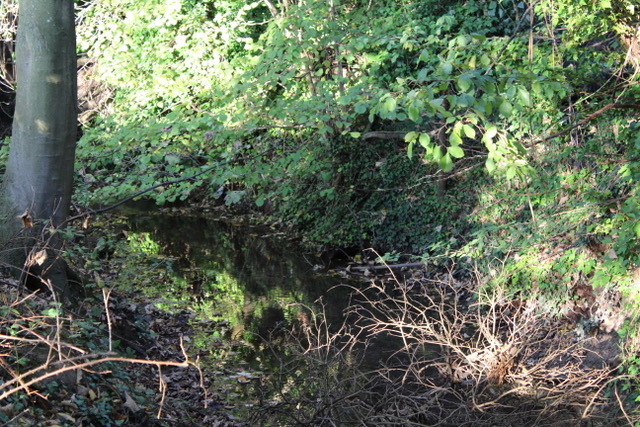 The river leaves the lake at a small weir which is really a funnel for the water, which then broadens into a wide chalk stream surrounded by trees and fields. The place is idyllic. The large garden was, in Edwardian times, opened to the public to boat on the shallow lake and to visit to see the snowdrops in spring. The lawn boasts an ancient Mulberry tree en route to the river. After Melbourn Bury the river crosses into the local nature reserve at Stockbridge Meadows where it is possible to paddle, wade, and just enjoy the cool. In mid-May James, myself and our conservationist friend, Bruce, took Year 6 from Meldreth Primary School on a filmmaking and poetry writing walk on the section of the river behind Meldreth High Street, through woods and fields, past the mill and up to the church field. Everyone was given an iPad for the return walk. The outward walk was used for collecting ideas and impressions. We were lucky that it was a beautiful day, so grass fights and playing Pooh Sticks were also involved, particularly as some of the children did not know what Pooh Sticks was. There was a queue to see how it was played. Despite dire warnings about children’s contact with the natural world, this year I noticed that several of them knew common plant names e.g. clover, buttercup. Boys were seen picking cow parsley and looking at it closely in wonder (for the first time, I think). And I have to say, the speed at which they can make short films about their experience that morning was breathtaking. This first post on my blog is for all of those who supported our crowdfunding appeal. You enabled us to raise a further £1,2000 from our local parish solar funds and we are very grateful.